The controversial Valley Gardens scheme has been delayed until at least October for new traffic modelling examining how the new road layout will deal with weekend and bank holiday traffic. The original traffic modelling for the scheme, which will see traffic reduced to a single lane from St Peter’s Church to the Old Steine, concluded it would be neutral – but only took into account data from weekdays as fluctuating weekend traffic was deemed too unreliable. As part of its promised review into the scheme, the new Labour administration has ordered a second report which takes the weekend traffic into account. But the Greens, who commissioned the original report, say prioritising the road for excessive holiday traffic would simply turn it into a car park, and say the extra delay could threaten funding for the scheme. Labour’s environment and transport chief Gill Mitchell said: “Since it was first proposed a couple of years ago, the scheme has undergone some very radical changes, most radical is reducing each side to one lane in each direction. “Labour councillors had serious concerns before the election about where the displaced traffic goes. We were very worried about taking that amount of traffic out of a key arterial road. “We kept on being told it was traffic neutral, but it can only be neutral if a significant amount of traffic is displaced. She said the impact of starting construction while other major projects in the city were underway, such as Circus Street, the Royal Sussex, Preston Barracks and the demolition of Amex House, would also be examined. She added: “[Council leader] Warren Morgan and myself met with officials from the Local Enterprise Partnership [which is funding the scheme] early on after the election and they have granted us additional time to make these further checks. “I have made a commitment to the LEP that we will be making a decision in October and I will be held to that. But Cllr Pete West, the Green’s environment spokesperson, said his party’s administration had looked at “numerous” design options based on “considerable evidence”. 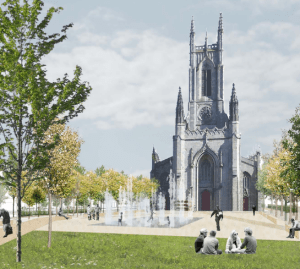 He said: “We weighed the pros and cons of each and came up with a plan which will improve this area as a public park and as a transport corridor and which balances the provision for walking, cycling, public transport and general traffic. “Labour have voiced concerns about the reduction of some road space for general traffic in the design, however the traffic modelling suggests that the simplification of ten junctions and a clearer layout will reduce the amount of stop-start motoring and improve traffic flow in spite of this. The project report to Capital to Coast, who awarded £14million funding for the scheme, said this simplification will enable private vehicles and public transport to operate more efficiently. “Exceptional sunny Bank Holidays and weekends, when thousands flock to the beach, have always and will continue to cause traffic jams, whatever is done at Valley Gardens, because the whole city has limited space for so many cars. “However, to prioritise Valley Gardens as a stacking space for occasional heavy traffic days would be an appalling prospect turning it into a sort of car park which would threaten the other benefits of the scheme. “As the city grows and visitor numbers continue to increase, we need to nurture the current trend for more local journeys by foot, bike, bus and taxi and more arrivals by train and coach. The scheme currently has two northbound and two southbound lanes for general traffic on the eastern side of the valley. On the western side, the scheme includes a north and southbound lane for buses and taxis. Initially, the scheme included two new sections of road to accommodate four lanes of traffic – two in each direction – along the eastern side of the valley but the four lanes were cut to two after modelling showed the simpler layout meant a better flow and therefore less space was needed at junctions for queuing traffic. The design work for the park area is also being revised so that the Mazda fountain can be retained after more than a thousand people signed a petition calling for its retention. However, it’s possible that the Green and Tory groups on the council may yet unite to outvote any changes to the scheme proposed by the minority Labour administration. This entry was posted in Communications, Planning and tagged Brighton and Hove City Council, London Road, Traffic on 23/07/2015 by srraadmin. Two trees infected with Dutch elm disease have been felled in Queens Park in a bid to stem a summer outbreak. The trees, including one which is as old as the park itself, were cut down earlier this month after park rangers spotted the telltale signs of the disease. The council is now appealing for park users to help them spot any more infected trees, so it can stop it spreading further. Delia Forrester told a meeting of the Queen’s Park Local Action Team last week: “We have lost a couple of trees in the past week to Dutch elm disease. The disease manifests itself by branches becoming discoloured. By the time the disease has gone that far it has to be removed and burnt. Everyone should be watching out for dodgy looking patches. A council spokesman said: “Elm disease is most active during the early summer months when the beetles fly to find new trees. The council’s arboricultural team is checking trees during this time and reducing the numbers of infected trees to contain the spread of the beetles. 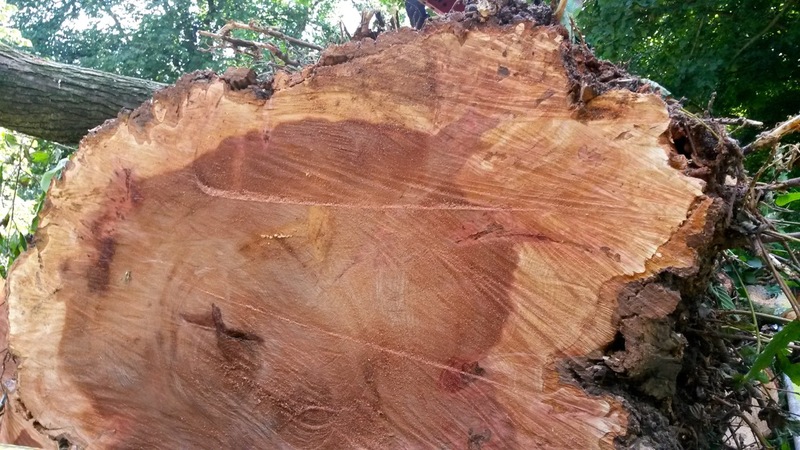 “Elm disease can’t be completely eradicated but Brighton and Hove has a good record of ensuring it doesn’t spread and in preserving its elm population which is why the city holds the national elm collection. “As part of the summer programme, two trees were felled in Queens Park but this is a last resort and we will try and contain any outbreaks by cutting out diseased branches to try and save trees if that is at all possible. Clusters of leaves turning yellow and wilt on the twig/branch. Later they turn brown and fall. The affected shoots die back from the tips and may bend to form a shepherds crook. Positive signs of wilt disease show as dark streaks just beneath the bark layer on the wood. Sometimes the wood has spots or stains. 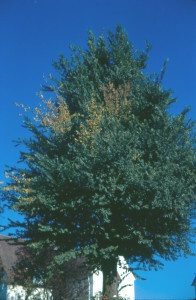 “Alerting the Council as soon as possible helps prevent spread of the beetles transporting the disease to other trees – you can do that at www.brighton-hove.gov.uk/elmdisease“. This entry was posted in Communications, Environment and tagged Brighton and Hove City Council, Environment, Queens Park on 23/07/2015 by srraadmin. Brighton has been announced as one of the latest towns across the UK to receive support from some of the UK’s biggest brands including: EE, Exterion Media, Greggs, Boots UK, the Co-operative Group, Marks & Spencer and Santander to support the transformation of UK High Streets. Business in the Community’s Healthy High Streets programme aims to increase footfall by 10%, reduce the number of vacant properties by 20% and stimulate the creation of new jobs in 100 towns over three years. The programme launched in June 2014 and is backed by some of the UK’s biggest high street brands – founding partners Boots UK, the Co-operative Group, Marks & Spencer and Santander and new partners EE, Exterion Media and Greggs. Brighton is one of 34 new High Streets selected for the programme across the UK today, bringing the total number of participating High Streets to 67. To find out more about Business in the Community’s high streets work visit www.bitc.org.uk/healthyhighstreets. This entry was posted in Business, Communications and tagged Business on 22/07/2015 by srraadmin. We have been reporting on the elm disease situation in Queen’s Park, and you can find out more about the history of the trees in our area here and why we are so blessed to have a thriving elm population in our city. Here are some important tips from the Council Arboralist Team explaining what local residents can do to help maintain and preserve these noble trees. SPOTTING ELM DISEASE: You can help by using your eyes. You can spot elm disease in the summer months of June, July and August by identifying patches of wilting leaves, autumnal in nature. See photo below of an infected tree. Sometimes, this discolouration is caused by broken branches, probably caused by squirrels. But if in doubt it is best to report such sightings to the local council, who then do their own process to identify possible infection. See link here. PRIVATE ELM TREES: if you have an elm tree in your garden, and have identified a possible infection, the council will examine your tree(s) and if necessary remove it. This service is entirely free of charge. See full details on the council website here. 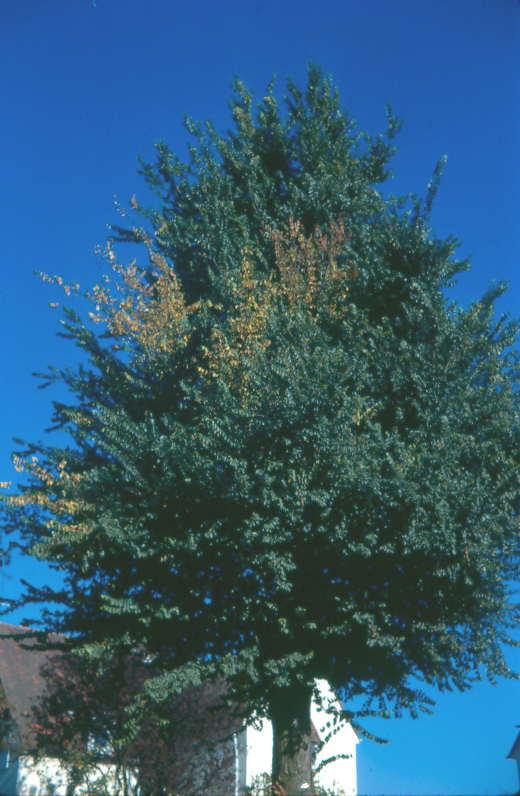 Click here for more information about elm disease. This entry was posted in Communications, Environment and tagged Elm Trees, Environment, Queens Park on 21/07/2015 by srraadmin. Guess who’s coming to the London Road Barclays Bank site? It was a great pleasure last Friday (17/7/15) to meet – along with visitlondonroad Town Team colleagues – Harry from 3space. 3space have ambitious plans to get the former Barclays branch up and running as a co-working space with an arts component and a maker space. This should be a great boost to creative folks and others looking for a base from which to operate. It will apparently be open to social enterprises and start-ups etc. The opening date will depend on the speed of refurbishment – but ought to be in the Autumn 2015. There is some information about the Brighton 3space here, and about the Oxford branch already in operation. It sounds really exciting. Welcome to London Road 3space! This entry was posted in Communications and tagged London Road, Preston Circus on 21/07/2015 by srraadmin. On Monday 18th May 2015 three males attended an address on Yardley Street claiming to be builders. They offered to complete building work at the address for a large sum of money. The residents of the address paid the money however the work was not completed and they have not seen the males since. This matter has only recently been reported to the police. On 16th July house to house leaflets have been delivered to Yardley Street, Gerard Street, Winchester Street, lower part of Clyde Road and Ditchling Rise together with half of Shaftesbury Road to ascertain if further residents have also been victims. If you are aware of anyone or have any information, please can you contact 101 quoting Serial No. 0518 of 19/05/2015. This entry was posted in Communications, Crime prevention and tagged Community, Crime, Sussex Police on 19/07/2015 by srraadmin. Residents will get a chance to have their say on the future of a building once dubbed Brighton and Hove’s ugliest building. Developers First Base and The Hyde Group are launching a public consultation on the future use of Anston House in Preston Road, Brighton. 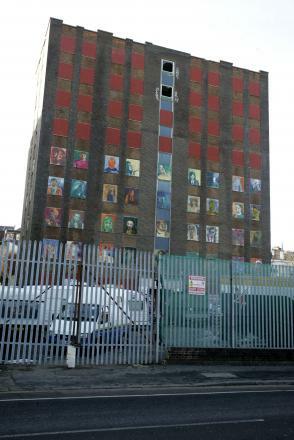 The eyesore has been unused for almost 30 years and has been subject to a number of failed planning applications – most recently a 15-storey development for 231 homes rejected in 2013 and a conversion to 44 flats granted last year. The first of a number of consultation events on the site over the next eight months will be held on Thursday 16th July between 3pm and 7.30pm at the Jurys Inn Hotel in Stroudley Road, Brighton, with residents, stakeholders and businesses invited to attend. An information newsletter has also been delivered to the more than 3,000 local residents living close to the site. Renowned architects Conran and Partners, who are also working on plans for Saltdean Lido, have been appointed as the lead designer on the project set to convert the derelict office building into around 200 new apartments. The proposed redevelopment of Anston House marks the first time that First Base and The Hyde Group have collaborated on a project and a first for London-based developers First Base outside of the capital. David Rothwell, development manager for First Base said: “We feel this site offers a really exciting opportunity to develop a fitting development at an important gateway location in Brighton. A project website has been established at firstbase-anstonhouse.com, and anyone wanting additional information should contact the project’s freephone information line on 0800 148 8911. This entry was posted in Communications, Environment, Planning and tagged Anston House, Preston Park on 16/07/2015 by srraadmin.